–Here is an important story from last month. These were men of the Irish Defence Forces who, in the language of the civil service, had been ‘dismissed for desertion in time of national emergency pursuant to the terms of Emergency Powers (No 362) Order 1945, or of section 13 of the Defence Forces (Temporary Provisions) Act 1946’. Significantly, the legislation under which the men were dismissed was not enacted until the war in Europe was over. In fact, many of those ‘dismissed’ were dead, having been killed in action, or died of wounds while serving with UK forces. The introduction of that legislation by Eamon de Valera’s government was a surprise to some, who believed that an amnesty was to be introduced for deserters. Interestingly, both men were defended by a Captain Cowan, who told the court that desertion was leaving one’s post in time of danger, whereas they had left places of safety for danger. Sean trained as an air gunner at Bishop’s Court in Co Down, and his Lancaster was engaged by nightfighters on six occasions and by anti-aircraft fire on many more. Moreover, at the end of a long mission at 18,000-20,000 feet on a cold winter’s night, “you were like the Hunchback of Notre Dame; it took you a couple of hours to straighten up”. Pardons for Sean Drumm, Patrick Kehoe and Patrick Shannon and all the other men whose names are included in that ignoble blacklist may be too late for them. Today, there are few survivors of their number to rejoice. But their families will surely welcome this act of the Irish government, announced by Justice and Defence Minister Alan Shatter. At long last, their native country is showing them the respect they were long ago given by another government and state (and let’s not forget that Ireland was then a Commonwealth country). 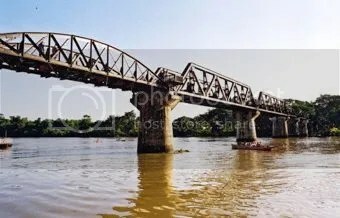 SIX Irishmen were among the hundreds of starving prisoners who worked under constant threat of execution to build the bridge over the River Kwai. According to author Robert Widders, they were among the many Irishmen and women who suffered at the hands of the Japanese. In his latest work, The Emperor’s Irish Slaves: Prisoners of the Japanese in the Second World War, to be officially launched this week, he reveals that they included Trinity graduate Ransome Macnamara Allardyce, who was bayoneted to death when the Japanese overran the Alexandra Military Hospital in Singapore in February 1942. Another Trinity graduate, Arthur Charles Prigge, died covered in ulcers while a prisoner of the Japanese, while Sister Mary Cooper died in a Japanese prison camp on June 26, 1943, from the combined effects of starvation, brutality and tropical diseases. In the book he also tells the heartbreaking tale of Fusilier Timothy Kenneally, from Bishopstown, Co Cork, and Pte Patrick Fitzgerald, from Kilmeaden, Co Waterford, who along with two others tried to escape from a slave labour camp on the Burma Railway. The two Irishmen and their fellow escapees were caught, tortured, crucified and executed on March 27, 1943. And Patrick Carberry spent the summer of 1943 cremating the emaciated corpses of his comrades who had died from cholera. Wing Commander Harold Maguire, from Kilkesishen, Co Clare, was captured on Java. His wife Mary Elisabeth took out a newspaper advertisement pleading to other soldiers for information about his whereabouts. Eventually she received a letter from her husband in which he wrote that he was in excellent health. In fact nothing could have been further from the truth. After the war he was awarded a DSO for the example he had set his fellow captives and later went on to be knighted and become an Air Marshal. In 1959, Maguire, when an air vice-marshal, was forced to land a Spitfire on a cricket pitch only 10 minutes after flying over Whitehall in a display commemorating the Battle of Britain. As his engine failed, he spotted a sports ground and managed to put the aircraft down, breaking the stumps at one end while the teams were off having tea. When he entered the pavilion, nursing an injured back, he was welcomed by the players with a strong cup of Darjeeling. “These people had two things in common: they were Irish citizens serving with the British armed forces; and they were amongst more than 650 Irishmen and women who became prisoners of the Imperial Japanese Army in 1942,” Widders writes. “Nearly a quarter of them died while in Japanese captivity,” he adds. The book will be launched in the Neill Hoey theatre at Trinity College on Tuesday. The men had become soldiers in World War II but among the details in the file marked confidential are their occupations before they signed up. They were mostly labourers, but many of the roles are of a different age, a milk server, a butler, a tailor’s apprentice. It is not a list of honour, compiled under the Irish Republic’s government of 1945, it is a list of those dismissed from the Irish Army for desertion. The 5,000 men involved left the Irish Army after 1941, when the threat of invasion had receded. “The problem then was what to do with them when they came back,” explained Tommy Graham, editor of History Ireland. The order banned their employment in all state agencies for a period of seven years and the list was issued to every state body. “I think in the circumstances it was quite generous treatment,” Tommy Graham said. The consequences of the government’s order helped shape Paddy Reid’s life. There was no hero’s welcome on his return to the Irish Republic. “If a man could not work he could not feed his family and I was born into that environment where there was no work, no food, very poor accommodation,” he said. But Paddy along with his brothers and sisters were the lucky ones. “The children of deserters killed in action were put into orphanages, and marked SS to be treated harshly” he added. The letters SS, stand for ‘saighdiuir sasanach’, meaning English soldier. “If you had an SS name behind your name as a three-year-old boy or girl you were in for it, you were going to pay for it,” he said. Groups like the Irish Soldiers Pardon Campaign have been calling for a pardon for the soldiers who deserted. The Republic’s Justice, Equality and Defence Minister, Alan Shatter, has indicated that a pardon is on the way. “There was a great deal of understandable concern to maintain the integrity of the Irish Defence Forces, desertion from any army at any time is a serious issue,” he said. It is a move supported by all parties in Northern Ireland’s Assembly. “This is about repaying a debt and trying to remove the stigma from families that were put in this very difficult position,” said DUP MLA, Peter Weir. Others are critical of the gesture. “A pardon implies that the government did something wrong,” Tommy Graham said. “My suggestion is that they be given an amnesty. However, Paddy Reid wants to see justice for his father and others like him. “It’s too late for many of those men, they’ll never hear it but I think for the children it would mean, yeah, it’s okay to be the descendant of a deserter. Granting a pardon to Second World War soldiers from the Irish Republic who were branded deserters for joining the British Army would further improve cross-border relations in Ireland, the Stormont Assembly has been told. The Dublin government is considering whether to officially exonerate the 5,000 troops from the Irish forces who left to fight against Nazi Germany. With Ireland remaining neutral during the conflict, the soldiers who left were vilified by the state on their return. The 4,983 so-called deserters were blacklisted through a parliamentary order – what became known as the starvation order – which saw them barred from certain jobs, refused military pensions and facing widespread discrimination. The Republic’s Justice and Defence Minister Alan Shatter is examining the issue in Dublin and is awaiting the advice of the Attorney General Maire Whelan. Across the border in Belfast, Assembly members from all the main parties, including Sinn Fein, backed a call for a pardon. Democratic Unionist Peter Weir, whose party proposed a motion supporting the pardon campaign, said he did not want to criticise the current Irish administration, but instead adopt a positive spirit of persuasion. “I believe it is important to show solidarity with those involved in the campaign to secure not just a pardon for these soldiers, but to actively have their service honoured,” he said. The North Down MLA added: “Resolution of this issue would be another positive step forward in the improvement of relations between the Irish Republic and Northern Ireland. The theatrical production of ‘War Horse’ was perhaps the most unashamedly moving piece of theatre I have ever seen. If there was a dry house in the house, it wasn’t mine; and now the Steven Spielberg film has opened, to largely ecstatic reviews. At which point, I revert to stereotype. The first British soldier to open fire in the Great War was an Irishman: Corporal E Thomas, from Nenagh, a cavalryman with the Royal Irish Dragoon Guards, on August 22, 1914. In the Golgotha that was to consume so many millions of lives, it’s easy to forget the cavalrymen who took their steeds to war, yearning for the breakthrough that never came. In 1987, I interviewed the last surviving Irish cavalryman of the period; Willie Harvey, of the South Irish Horse, whose troop arrived near Mons just in time to join the great retreat of the British Expeditionary Force at the end of August 1914. Willie was one of those great Irish countrymen that could turn their hand to anything, and well into his 80s he was the backbone of the Catholic parish of Newcastle, Co Dublin. He and his troop of South Irish Horse formed a rear line behind the Irish Guards near the French town of Landrecies; and upon the massed fire of Irish musketry, the advancing Prussians impaled themselves. Willie watched the Irish Guards’ commanding officer, Colonel Morris, riding his white horse back and forth along his line of kneeling guardsmen as they poured volleys into the unfortunate Germans. That poor man is not long for this world, thought Willie, behaving like an eejit under fire like that: and so it proved. Cavalry charges such as those portrayed in ‘War Horse’ still continued into 1915. In all, about 10,000 British cavalrymen were killed in the war. Only 200 or so Irish soldiers were killed or fatally injured on horseback while serving with the Irish cavalry regiments — the part-time yeomanry of The South Irish Horse and The North Irish Horse, and the regular Irish cavalry regiments, the Irish Lancers, the Irish Dragoon Guards, the Inniskilling Dragoons, and the Irish Hussars. Curiously, the Irish were not drawn to cavalry as they were to the infantry: apart from the two yeomanry regiments, even the “Irish” cavalry regiments were predominantly British. After the appaling lessons of what machine-gun fire can do to massed cavalry had been learnt, horsed soldiers were kept well in the rear for the rest of the war, waiting for the great breakthrough in 1915, 1916 and 1917. Finally, in the summer and autumn of 1918, as the allies broke the German defences and trench warfare came to an end, cavalry was deployed in the open fields of Picardy and Flanders against a retreating foe. It was still an expensive business, and a brave one, advancing on horseback against concealed machine-guns. But cavalry still had their uses: 1918 was the bloodiest year of all for the Irish cavalry regiments. Shortly before 11am, November 11, 1918, a picket of Irish Lancers of the 3rd Cavalry Brigade was ordered to charge to secure the flanks of the advancing Canadians near Mons, where Willie Harvey had begun his war four years before. As the moment of armistice approached, a burst of gunfire killed Corporal George Ellison, of York, the last British soldier to be killed outright in the war. But it also wounded Thomas Farrell from Lucan, Co Dublin, who thus became the very last Irish soldier to be fatally injured in the war. He died in a field hospital the next day, and his remains were later buried in Valenciennes military cemetery. In the coming years, the Commonwealth War Graves Commission created one of their wonderful graveyard-gardens there, and it employed a former Irish Guardsman, Robert Armstrong, as gardener. This must have been a sobering, terrible place to live one’s life: most of the 884 graves were of soldiers — generally Canadian, but a handful of Irish as well as young Farrell, such as Patrick Walsh from Cork and Patrick Griffin from Kilrush –who were killed in the final days of the war. However, yet more sobering times lay ahead. When the Germans returned in 1940, they did not intern Robert Armstrong, because he was an Irish national with an Irish passport. In those days, it must have required an actual effort for a former subject of the UK, now living in France, to have achieved this. So Robert Armstrong, Irishman, was allowed to continue tending the war graves. However, he was emphatically pro-allied, and in due course helped set and run a Resistance group, which smuggled allied aircrew and escaped POWs out of occupied Europe. In 1943, this gallant Irishman was betrayed to the Gestapo, and sent to Waldheim Concentration Camp, Saxony, where he died in December, 1944.
Who in Ireland knows the name, Robert Armstrong, freedom fighter and concentration-camp victim, who minded the dead and served the living? And not even Spielberg could make a credible film out of the last cavalry charge of the Great War and the heroic gardener of Valenciennes. A CAMPAIGN in Ireland to pardon 5000 men who deserted from the country’s forces to fight for Britain in World War II is likely to be backed by Sinn Fein, the Republican party that sought Nazi support against the British. It has emerged that Sinn Fein is ready to add its voice to calls in the Dail, the Irish Parliament, for a pardon. During the war, Irish Republicans said that they would welcome German invaders as “friends and liberators”. Thousands of Irish citizens volunteered for the British forces during the war, but those who deserted the Irish forces to do so were penalised. Under Emergency Powers Order 362, Eamon de Valera’s Government stripped 4983 soldiers of their military pensions and barred them from government jobs. However, any pardon will be too late for Gunner Reid, who died in 1988. Over Christmas the issue of a pardon was referred by ministers to Maire Whelan, the Attorney-General, whose decision is expected early this year. Alan Shatter, the Irish Defence Minister, who is Jewish, is thought to sympathise with a pardon. Campaigners for a pardon said that Sinn Fein’s support would help to reduce historic divisions in Ireland. 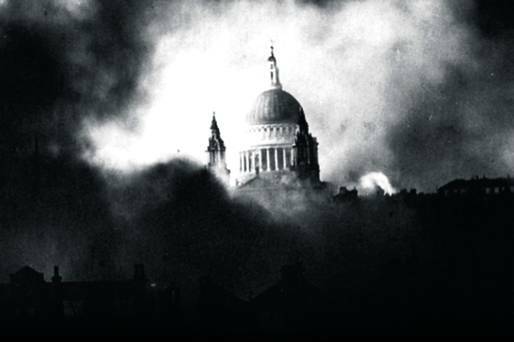 In July 1940, as the Battle of Britain began, the IRA said in An Phoblacht, the republican newspaper, that if “German forces should land in Ireland, they will land . . . as friends and liberators of the Irish people”. As recently as 2003 Mary Lou McDonald, Sinn Fein’s vice-president, spoke at a memorial rally for Sean Russell, the IRA leader who went to Berlin during the war to seek Hitler’s support. Five thousand Irish soldiers who swapped uniforms to fight for the British against Hitler went on to suffer years of persecution. One of them, 92-year-old Phil Farrington, took part in the D-Day landings and helped liberate the German death camp at Bergen-Belsen – but he wears his medals in secret. Even to this day, he has nightmares that he will be arrested by the authorities and imprisoned for his wartime service. “They would come and get me, yes they would,” he said in a frail voice at his home in the docks area of Dublin. Mr Farrington’s fears are not groundless. He was one of about 5,000 Irish soldiers who deserted their own neutral army to join the war against fascism and who were brutally punished on their return home as a result. A special “list” was drawn up containing their names and addresses, and circulated to every government department, town hall and railway station – anywhere the men might look for a job. It was referred to in the Irish parliament – the Dail – at the time as a “starvation order”, and for many of their families the phrase became painfully close to the truth. 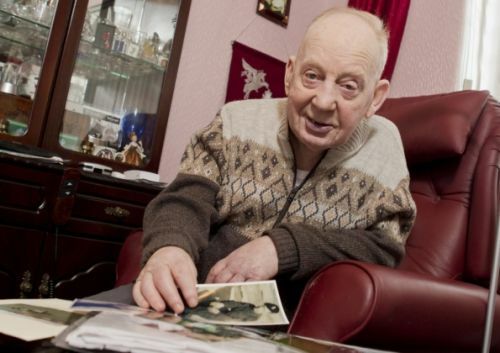 Paddy Reid – whose father and uncle both fought the Japanese at the battle of Kohima Ridge – recalls a post-war childhood in Dublin spent “moving from one slum to another”. Maybe one slice of bread a day and that would be it – no proper clothing, no proper heating. On his return home to Cork, however, he was treated as a pariah. “What they did to us was wrong. I know that in my heart. They cold-shouldered you. They didn’t speak to you. It was only 20 years since Ireland had won its independence after many centuries of rule from London, and the Irish list of grievances against Britain was long – as Gerald Morgan, long-time professor of history at Trinity College, Dublin, explains. “The uprisings, the civil war, all sorts of reneged promises – I’d estimate that 60% of the population expected or indeed hoped the Germans would win. Ireland adopted a policy of strict neutrality which may have been necessary politically or even popular, but a significant minority strongly backed Britain, including tens of thousands of Irish civilians who signed up to fight alongside the 5,000 Irish servicemen who switched uniforms. Until I showed him the list – the size of a slim phone directory and marked “confidential” – John Stout had not realised his name was included. But after the war it quickly became apparent that he could not get work and was not welcome in Ireland – so he returned to Britain. “I feel very betrayed about how we were treated, it was wrong and even today they should say sorry for the problems we had to endure. We never even got to put our case or argue why it was unjust,” said Mr Stout. And the list itself is far from accurate, according to Robert Widders, who has written a book about the deserters’ treatment called Spitting on a Soldier’s Grave. “It contains the names of men who were to be punished but who’d already been killed in action, but not the names of men who deserted the Irish army to spend their war years as burglars or thieves,” he said. In recent months, a number of Irish parliamentarians have begun pressing their government to issue a pardon to the few deserters who remain alive. “What happened to them was vindictive and not only a stain on their honour but on the honour of Ireland,” TD Gerald Nash said. But for those nonagenarians who helped win the war but lost so much by doing so, time is of the essence, and it is running out fast. • Face the Facts – Deserters Deserted will be on BBC Radio 4 at 12.30GMT on Wednesday 4 January 2012 and will be available to listen to afterwards online. When he went AWOL American RAF Pilot Officer Roland L Wolfe, also known as ‘Bud’, caused headaches for the British and Irish Goverments, and even the German Ambassador got involved. What exactly do you do with a foreign airman who hasn’t broken any rules, but whose escape plan had the potential to ‘sink’ Britain by causing a German invasion of Ireland? On Wednesday – 70 years to the day – the family of Pilot Officer Wolfe marked the anniversary of the day the pilot crashed as he headed out from Eglinton Airport to the Irish coast to accompany the Allied forces the final miles ‘home’. The US airman never made it and ejected over Donegal while trying to return to base. The War had been ongoing since 1939, but America did not get involved until the Japanese attack on Pearl Harbour in December 1941. But there were US pilots who wanted to fight and fly the Allied aircraft and Bud Wolfe was one of the men who approached the Allied Forces. Bud became a member of the 133rd Eagle Squadron and on November 30, 1941, he took off from Eglinton and flew out over Donegal on a routine convoy patrol mission. His duty was to accompany the convoy ships sailing to and from Derry Port from Canada and America. “He took off with three other aircraft to fly out and they had just got out over the coast of Ireland when Bud reported back to his colleagues that his engine temperature was starting to seriously overheat.The glycol which cools the engine was leaking and if the engine seized then the propeller would cut out, and that would not be a good day in the office. So he reported back that he was going to have to go back to Eglinton. Then his radio packed up, so all he could do was transmit and his last recorded message at Eglinton was ‘I’m going over the side’ and from the notes we have that was at about 5,000 feet,” Mr McNee said.The Spitfire plummetted headlong into a rural bog in the townland of Moneydarragh near the village of Gleneely. After the crash Bud was found wandering half a mile from the crash site, dragging his parachute with him, looking for the wreckage because he had left an expensive watch in the cockpit and wanted it back. Barracks where he spent the night, and the following day he was taken down to the Curragh Camp on December 1. At this point he was the only American interned at the Curragh Camp, and America didn’t enter the war until five days later,” said Jonny. So, there was Bud claiming he was a mercenary of sorts and pleading to be let go promising to return to America. It did not wash, even though he wrote letters to DeValera. “When he found out DeValera wasn’t going to let him out he chose to escape. Normally youwould sign out and sign back in again, and one of the guards would sign a slip of paper saying you had fulfilled your obligations and were now back in the camp. “Pearl Harbour happened just after December 7, so Bud could no longer use the excuse that America was not in the war. One of his fellow pilots came down from Eglinton to visit and bring some personal belongings. Bud signed his parole slip to say he was going out that night. He went out, had some drinks and went back. He then signed another parole slip to say he was going out with this friend before he went back up to Eglinton, signed his form, walked out of the prison camp and then he basically exploited a loophole, went out through the gates, said it was cold, turned back and said to the guard ‘I’ve forgotten my gloves’, and the guard told him to go back in and get them. The parole slip form demands you sign out and sign in, but when Bud walked back into camp they did not ask him to sign back in. He walked back out and nobody asked him to sign back out again, so according to Bud in coming back to get his gloves, Bud said he had fulfilled his parole. When nobody stopped him he thought ‘I’m off’,” said Jonny. Bud made his way back to Belfast via Dublin train and got the bus to Eglinton, but when he arrived back instead of folk being delighted, they were aghast. “The top brass said his arrival would cause a lot of trouble and he was promptly arrested by the RAF and put in custody at Eglinton for 10 days while the De Valera, Churchill, the British Air Ministry, the Senior RAF and the German Ambassador all waited to see how Ireland, which was neutral, and the British, to whom this pilot belonged, handled the situation. “In the end the fear among the RAF and Churchill was that if they did not hand him back the Germans would believe Ireland was not neutral and they would invade, and it would give the Germans a base from which to operate their aircraft and their submarines right next door to England, Scotland and Wales, so that country would be sunk,” said Jonny. The Irish, understandably, did not want to be invaded, so the Air Ministry under instruction from Churchill, with the wholehearted backing of Ireland, returned the American pilot to internment to protect Britain .So Bud Wolfe, possibly, became the only Allied POW in WW2 to be sent back to his prisoner of war camp. He did however, get to fight in the end, when it became apparent that Germany was not going to win the war, and he was released. He went on to have a very distinguished flying career. A special exhibition showcasing artefacts from a crashed WWII Spitfire recovered from an Inishowen bog was unveiled by the pilot’s family in Derry yesterday. BBC presenter Dan Snow and a team of archaeologists led by Claudy aviation historian Jonny McNee unearthed the RAF plane at Moneydarragh near Gleneely during the making of a tv documentary earlier this year. Pilot Roland ‘Bud’ Wolfe, a US native who joined the British war effort before the Americans entered the conflict, bailed out of the doomed aircraft during a mission on November 30, 1941. Attending the launch of the exhibition entitled ‘The story of spitfire P8074’ at the Waterside’s Workhouse Museum were the pilot’s two daughters, Barb Kucharczyk and Betty Wolfe – who flew in from America along with 12 other family member for the occasion. On Wednesday, 70 years to the hour after US Pilot Rowland L Wolfe bailed out of his Spitfire after takeoff from Eglinton, his family members gathered at the crash site in Inishowen. A member of the RAF’s 133 Eagle Squadron, Bud Wolfe’s job was to offer protection to a convoy of supply ships. On Wednesday at noon his two daughters, accompanied by other family members, and Galen Weston – the son of Canadian businessman Garfield Weston who sponsored a fleet of Spitfires for use during the Battle of Britain – paused to remember him in prayer. Inishowen minister Canon Bill McNee – the father of Jonny McNee, the aviation enthusiast and historian who found the Spitfire led the reflection service. Following the service the family travelled to Eglinton Airport, where a plaque Mr NcNee was unveiled to commemorate the Eagle Squadron. Also on display are pictures, documents and an explanation of the reason behind the dig. “The plane was one of eight spitfires donated by Canadian businessman Garfield Weston, who was also British MP for Macklesfield and during the Battle of Britian 18 RAF planes were shot down and they lost all the pilots as well on the same day. That moved Garfield Weston and he approached the Air Minister Lord Beaverbrook, also a Canadian, and he gave Beaverbrook a cheque for £100,000,” said Mr McNee. Some of the American and Canadian visitors arrived on Monday and the remainder of the delegation touched down on Tuesday morning. On Tuesday night, Pilot Officer Wolfe’s daughters and other family members made a poignant trip to the Tower Hotel, where they were able to view their father’s flight helmet which is in the process of being restored. Mr McNee said the find was very exciting. “It is a very rare thing to find a flying helmet at airplane crash sites, with the bulbous earphones and the black oxygen mask, but we got it all, and we even had the pilot’s initials still on it, which is very significant for the family. “It has had to undergo a prolonged and extensive restoration to get it into a state where it can be displayed publicly, and that is still ongoing, at the National Museum in Belfast,” said Mr McNee. The daughters of a pilot whose spitfire crashed in Inishowen during World War II have opened an exhibition charting the story of the recovered plane. The two daughters of Roland ‘Bud’ Wolfe, Betty Wolfe and Barbara Kucharczyk, plus 12 other family members travelled from America on a personal pilgrimage to trace the steps of the US native who served in the RAF in 1941. Bud was one of many Americans who signed up to fight in an RAF unit known as Eagle Squadron because before the US joined the conflict after the attack on Pearl Harbour. The fascinating story of Spitfire 8074 – which was recovered from a rural bog at Moneydarragh near Gleneely in Inishowen by Claudy aviation historian Jonny McNee and a team of archaeologists in June – was officially opened at the Waterside’s Workhouse Museum yesterday. The project was part-funded by Canadian businessman Galen Weston, whose donation echoed the famous wartime gift of his father Garfield Weston who funded the construction of the Inishowen spitfire and seven others in 1941. A part of the fuselage bearing Mr Weston’s name was presented to his son several weeks ago. Roisin Doherty, Head of Heritage and Museum Service at Derry City Council, said the exhibition was a major coup. On Tuesday the extended Wolfe family, dubbed “the Wolfepack” by Mr McNee visited the former RAF Eglinton, now City of Derry Airport, where their Bud was temporarily based in 1941. They unveiled a plaque in the terminal to commemorate 133 (Eagle) RAF squadron which was composed entirely of US volunteer pilots. including their father. Earlier in the day the paid an emotional visit to the crash site in Inishowen – 70 years to the very hour since the 1941 crash landing.